Portraying Theon Greyjoy, actor Alfie Allen endures great agony. Yet he can never get enough of the filming. Portraying Theon Greyjoy, actor Alfie Allen endures great agony. Yet he can never get enough of the filming. “I love this spectacular coastline. If Northern Ireland had a slightly better climate, it would be like New Zealand.” Allen spent most of his time donning a harness and roaming Ballintoy Harbour, the stunning setting for the Iron Islands. In between takes, the actors often visited the Giant's Causeway, the famous nearby basalt columns. 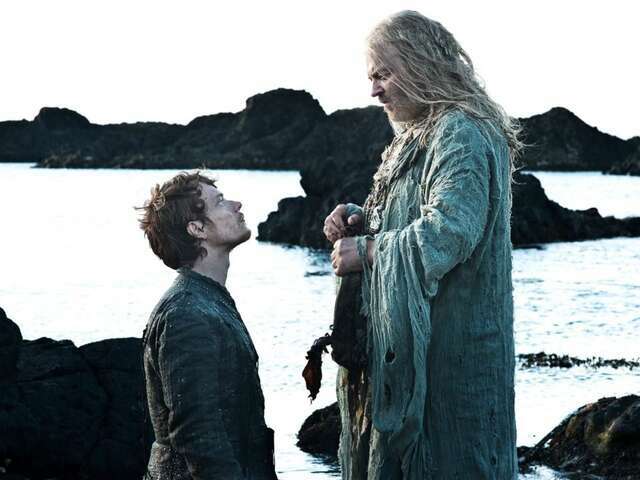 Theon Greyjoy was born on the Iron Islands. 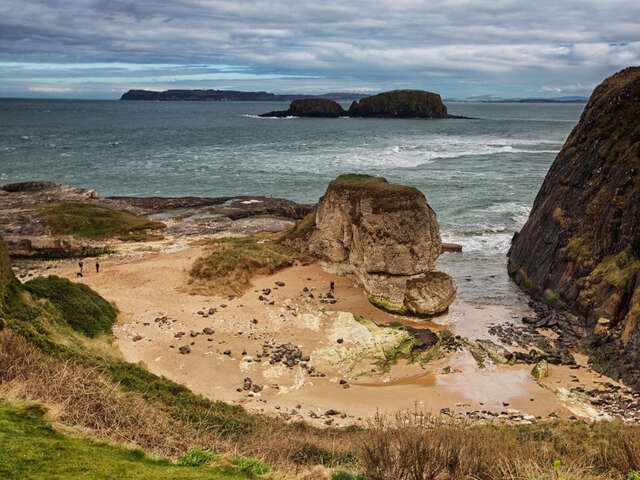 Here, in the sea along the coast of Pyke (Ballintoy), he is baptised in the name of the Drowned God to prove his loyalty to Ironborn. The role of merciless priestess Melisandre in Game of Thrones has brought Dutch actress Carice van Houten great fame. And the most talked about scene is undoubtedly the one in season two, when her character gives birth to a baby of black smoke. 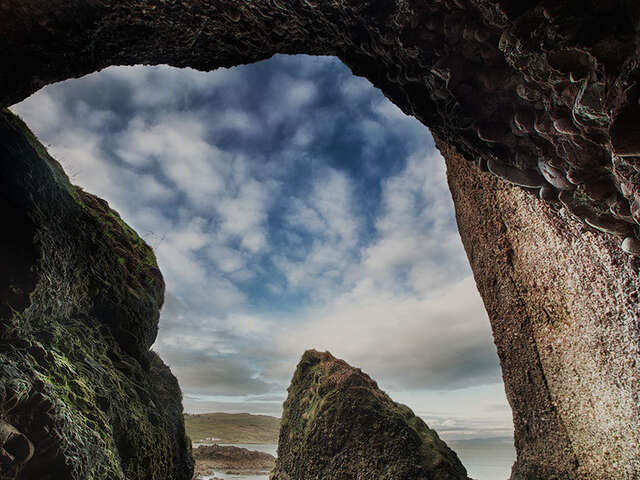 This pivotal scene was filmed in the Caves of Cushendun, which were formed by more than 400 million years of the sea pounding on the crumbling coastline. 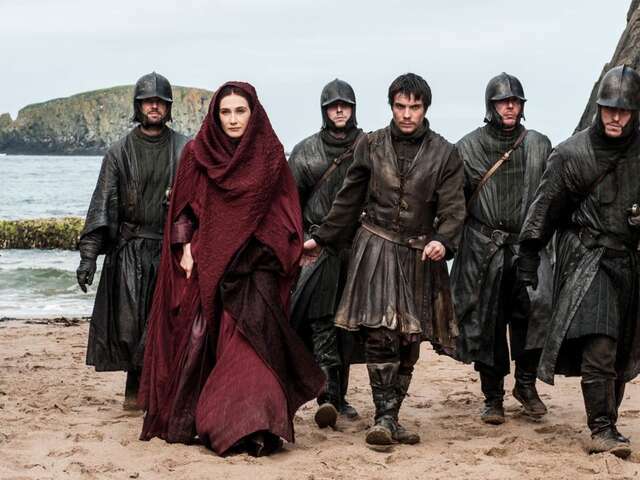 After the infamous scene in the caves of Cushendun, the Red Woman leaves Dragonstone in search of Robert Baratheon’s lost illegitimate son. She finds him and brings him back to the castle along the rugged coast for a very special reunion. In a series where each episode sees dozens of characters dying a bloody death, it is nice to have a less vengeful family. That is the role of House Stark: the friendliest of the warring parties in Westeros. 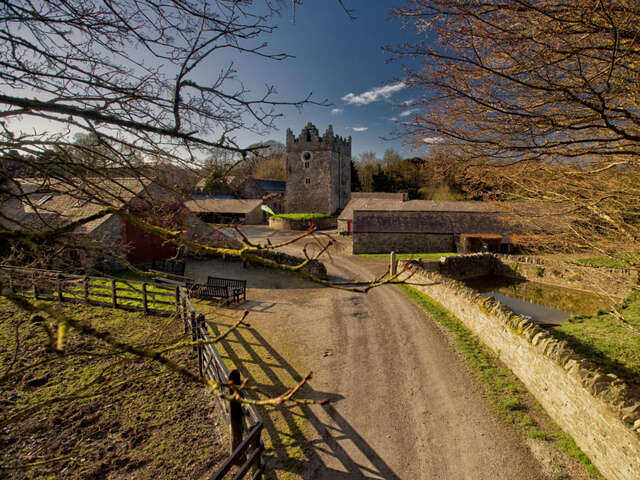 Home base Winterfell is mostly filmed on Castle Ward: an 18th century country estate where part of the set still stands and visitors can try their hand at archery. The towers of Castle Ward are easily identifiable among the CGI walls and towers of Winterfell. 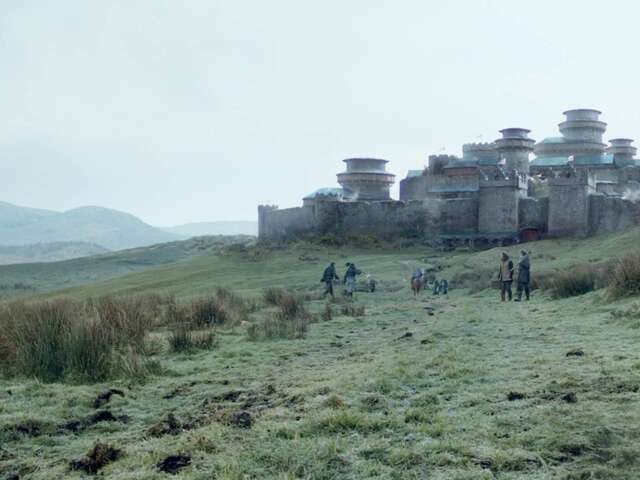 But there is more to Winterfell than CGI: prior to filming the Winterfell scenes, over 100 crew members worked for eight weeks to transform the castle into the Stark family fort. Game of Thrones is often described as the feuds of The Sopranos set in the Middle-Earth of The Lord of the Rings. Such a magical setting wouldn’t be complete without a place like the Dark Hedges: a bizarre lane of trees just outside the village of Armoy and one of the most photographed views in Northern Ireland. In the series, the lane portrays the most dangerous road in Westeros. An excellent choice: it’s easy to imagine a three-eyed raven among the sinister twisted branches. 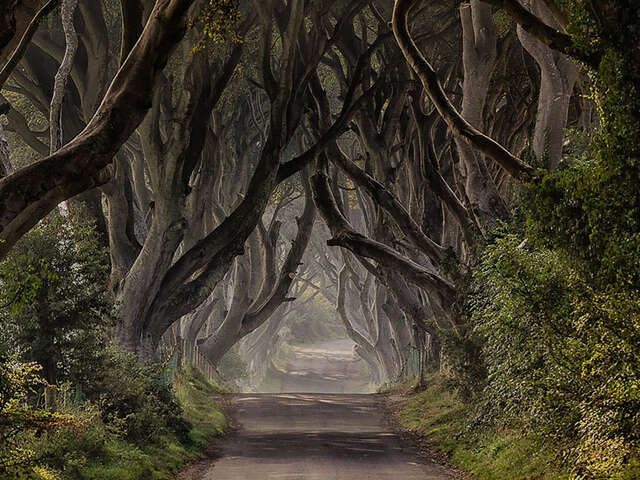 The Dark Hedges is one of the most iconic film locations of Game of Thrones. Unfortunately, some of the over 200-year-old trees from the set were destroyed by a storm in 2016, but have been turned into doors with the help of some artistic carpenters. 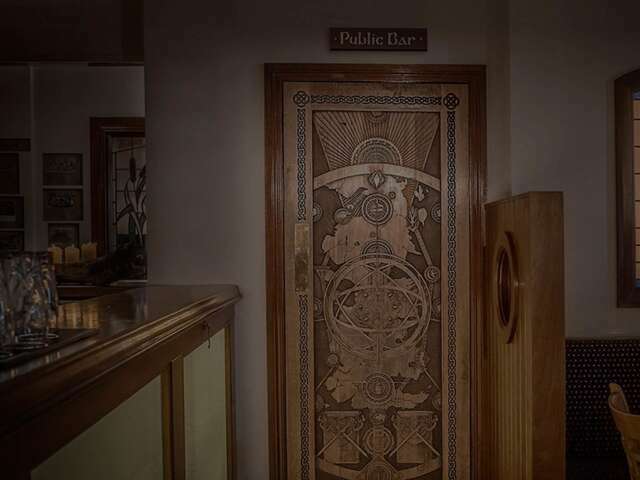 Each wooden door represents one episode from season six of Game of Thrones and they can be admired in several pubs, bars and inns across Northern Ireland. At the end of each episode, the location of the next door is revealed. The Slieve Donard Hotel in Newcastle is one of the proud owners of such a door. See what’s behind it as you wander into Tollymore Forest, the place where men from the Night’s Watch stumble upon a White Walker in the first season’s pilot episode. 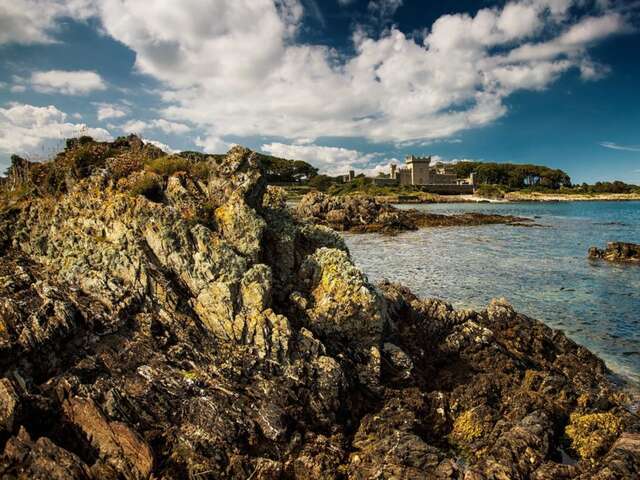 Quintin Castle is an impressive example of medieval architecture on the east coast of Northern Ireland. However, the 12th-century castle was skilfully edited out of Game of Thrones to make room for the fictional Castle Stokeworth of mercenary Bronn. Producers felt that Quintin Bay – with its ominous rocks and barren beaches – was the real star of the local landscape. Of course that doesn’t include the character of Jaime Lannister who can be seen here trudging through the sand. 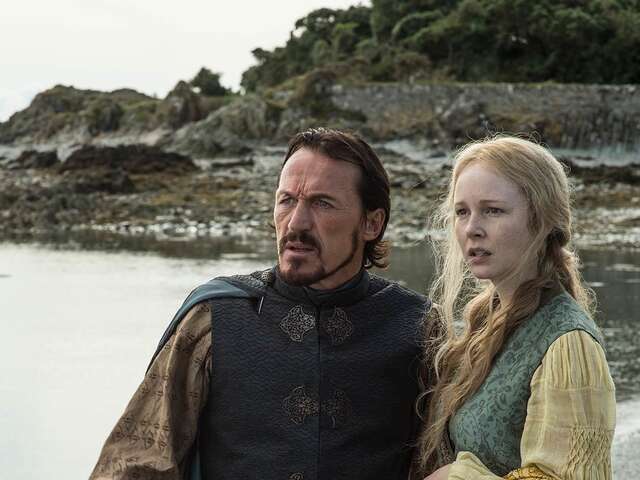 Bronn finally gets what he thinks he is entitled to. But when he is promised Castle Stokeworth, this comes at a price. His prospect of riches and a beautiful wife are short-lived when life turns out different than expected and he is persuaded to go on a new quest.